You know yourself. You know the world. You know how to paint a beautiful vision. You’re a dreamer. You even help others grasp their true calling. You’ve got real perspective and a great understanding of the long-term. Channeling your own energy and intuition with spot-on accuracy, you’ve realized that it’s time for a change. You want to follow your heart and have a flexible life. The timing is right. The “why” is a cinch. But the “how” is messy. You can’t seem to gain the traction you’ve been desiring. Who’s got time to make a plan when house remodels, soccer practice and doctor appointments permeate your schedule? How can you work on your personal work when there’s a report due in two hours? You don’t have room for something new. Where do you even start? First let’s start by strengthening your beliefs and working with the power of positive thought. Sometimes when you make a big and bold declaration like this, the little voice in the back of your head shows up and says, “Who do you think you are to make such a claim?” “That’s a ridiculous and impossible idea!” or “That’s a grand idea, but you don’t have the [money, people, resources] to bring this into reality.” Stop there! Don’t let this go any further. Instead, I want you to visualize what can be. Visualize it every day. Good planning and intentional action is not an elementary skillset. It is a set of skills we have to diligently practice and evolve. Planning and intentional action is a skillset we will have to practice and re-master for the rest of our lives. Here are a few exercises to help you move your dreams into action! Write down your goals and keep them front and center! Paint the picture in your mind’s eye of you successfully achieving that goal. How do you feel? What emotions uplift you when you’ve accomplished this goal? Describe the flow of what is happening around you and how it is impacting others. What are the accomplishments, the wins, the successes? Describe how your essence shines bright in the assured accomplishments that result from this goal. And as you put this plan in place, I have one more recommendation for you! Build a support system around you! Get an accountability partner or, even better yet – a TEAM! Tell people what you’re doing and ask them to be there to cheer you on and keep you moving. No one at the top of their game gets there without a support system – mentors, coaches, guides! I love to help my clients move beyond just a dream into making it a reality. I love to help them make their mark on the world and leave a legacy that really matters. In a complimentary 45 minute session we sort through how you move your dreams into action. This is the first step toward developing a passionate and meaningful next chapter in your life. 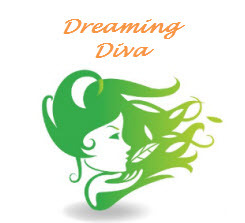 If you’re ready to move from a dreaming diva to a make it happen master, claim your complimentary Strategy Session today! Before you know it, you’ll be taking bold and big actions toward your next chapter!